First, I cut a USB cable in half to tap into the level. 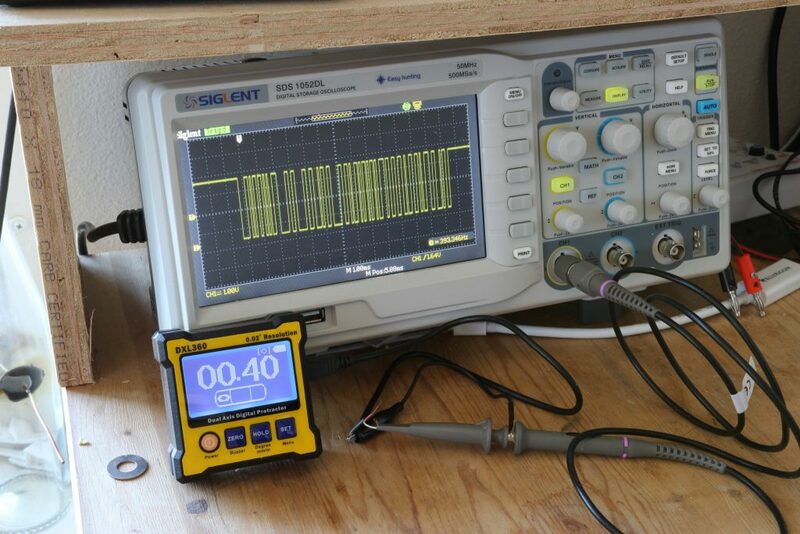 As a check, I hooked the data lines up to my oscilloscope. I was greeted with a binary bitstream that changed pleasantly as I rotated the level. Looks promising. Next, I just plugged the data cables into my extraordinarily useful Adafruit FT232H breakout board, which is basically a universal attachment for these kinds of things. I love this chip. In this case I just plugged the TX line (white in my cable) to the UART RX line on the chip (D1) and GND to GND. To test it, I just followed Adafruit’s instructions to open up a screen session on my (linux) laptop. I was immediately greeted with and ASCII stream of data in a meaningful format. The FT232H starts up in its UART serial mode by default which is exactly what I needed for this device. Yay: this is an easy project. 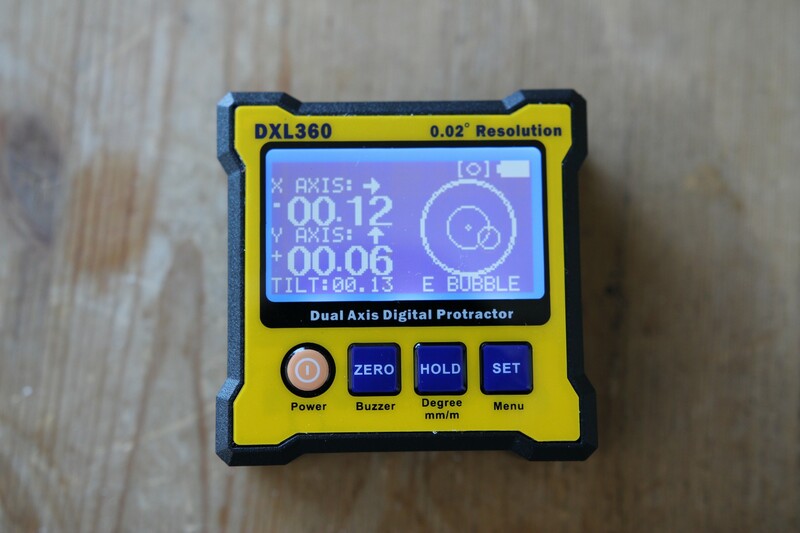 Reads DXL360 digital level measurements coming in over the serial port. 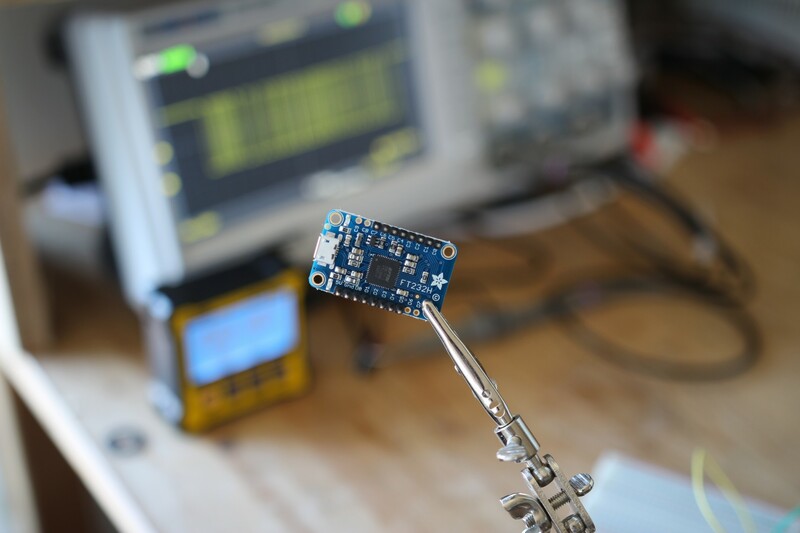 Data comes in via UART, converted to USB with a FT232H or equiv. Original Purpose: Calibrate/verify star-tracking barn-door camera mount. 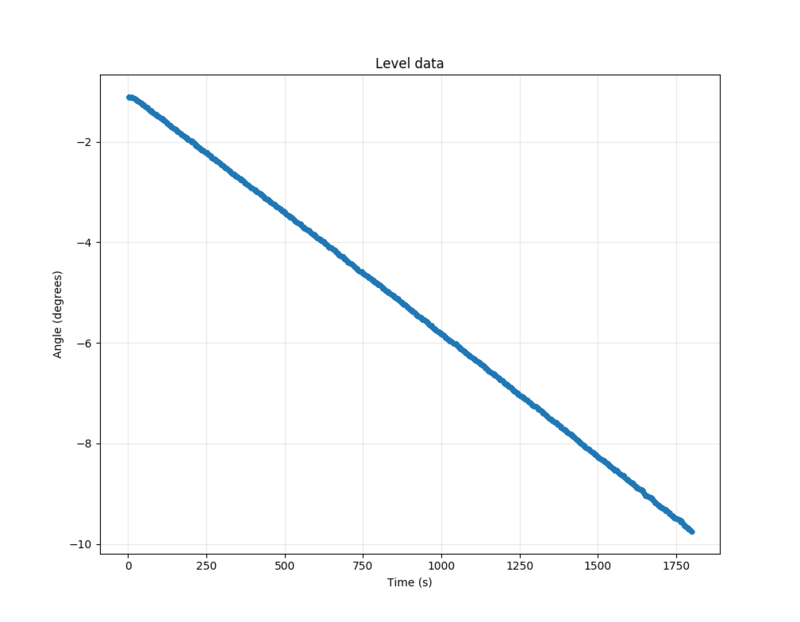 That just reads some data and then plots it, like this: Sweeeeeet. Coupling a computer to this level really makes it an even more awesome and useful instrument. Update: I open-sourced this software as part of the startracker project on github.